Scandinavia is a study in contrasts. Fairy tale castles mix with Viking lore and snow-capped mountains meet deep fjords. This 10-day tour takes you through stunning landscapes to the most important destinations in the area. 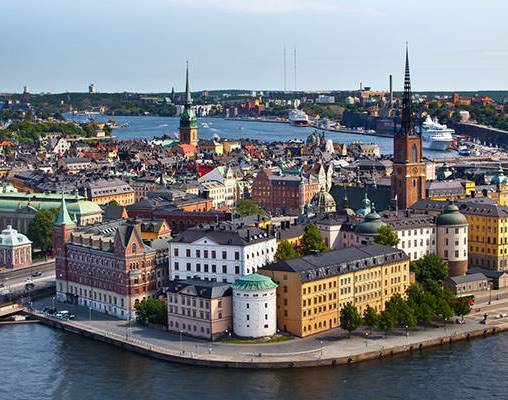 Begin your tour in Stockholm, Sweden’s capital city, which is spread out over 14 islands near the Baltic Sea. Full of history, stunning architecture, and a variety of museums, you have time to stroll this town on your leisure. Later, a guided tour takes you through City Hall and scenic Old Town. 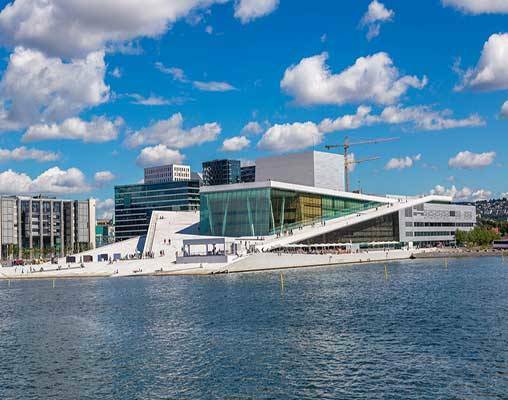 When you arrive in Oslo, Norway, you can visit the fascinating Viking Ships Museum and beautiful Vigeland Sculpture Park. Then relax on a 13-mile journey on the Flam Railway that winds through mountains and offers stunning views of passing scenery. 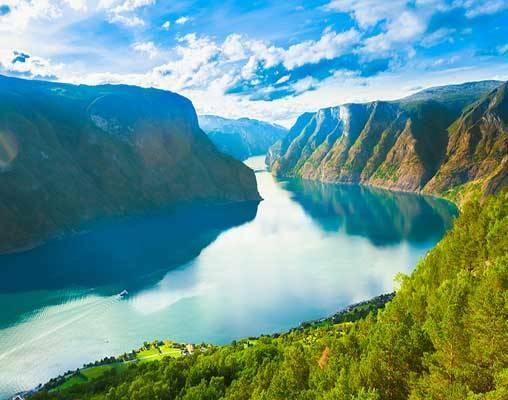 Next, take a cruise along the fascinating Sognefjord and Naeroey Fjords. 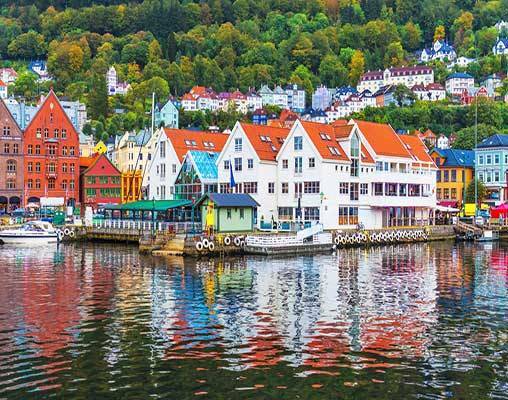 Once in Bergen, enjoy time to appreciate the rich history of the area full of cobblestone streets and colorful wooden houses. Sightsee along the old wharfs and take in the local museums. 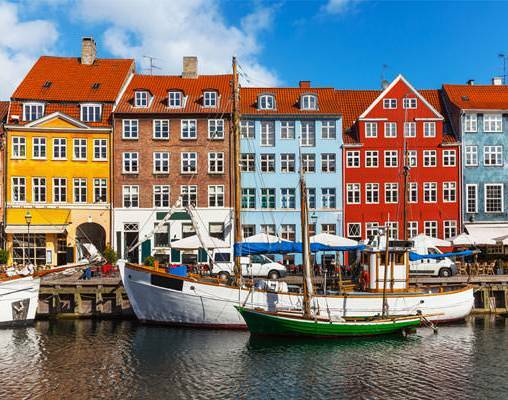 Next you'll reach Denmark and visit its capital of Copenhagen. Enjoy the city's beautiful parks and shops, or take a trek to the 17th-century Frederiksborg Castle. You're sure to enjoy all the sights of scenic Scandinavia! The morning is yours to enjoy a few more hours in Copenhagen before transferring to the airport for your return trip home. 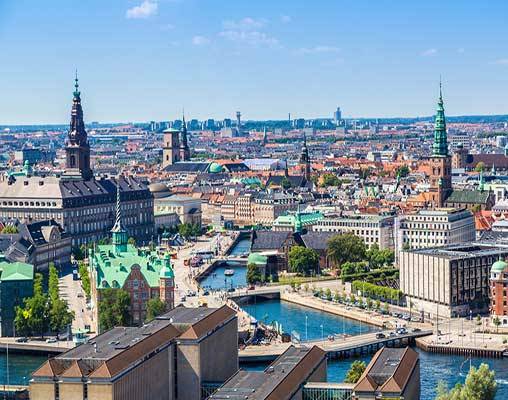 Alternately, you may wish to extend your stay in Copenhagen and continue your travels through Scandinavia or Western Europe. 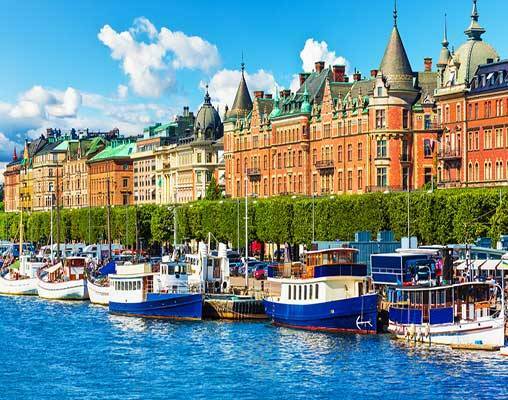 Hotel accommodations include the Hilton Slussen Hotel (Stockholm), Thon Hotel Opera (Oslo), Stalheim Hotel, Augustin Hotel (Bergen), and Scandic Copenhagen Hotel (or similar). Enter your details below if you would like to be notified when 2020 dates and prices are available for Best of Scandinavia. Please add $280 for flight between Bergen, Norway and Copenhagen, Denmark. For this tour, you are required to carry a valid passport with an expiration date no less than six (6) months after the scheduled return date. A copy of your passport must be provided to Vacations By Rail at least 75 days prior to your departure. The name on your passport must match the first and last name on your reservation. Non-U.S. citizens must consult with appropriate consulates to determine if any visas are needed and are responsible for obtaining all visas and entry documents. Optional excursions are available and can be purchased while on tour in local currency. Your Tour Manager will have complete details.